Heuchera Primo 'Wild Rose'. 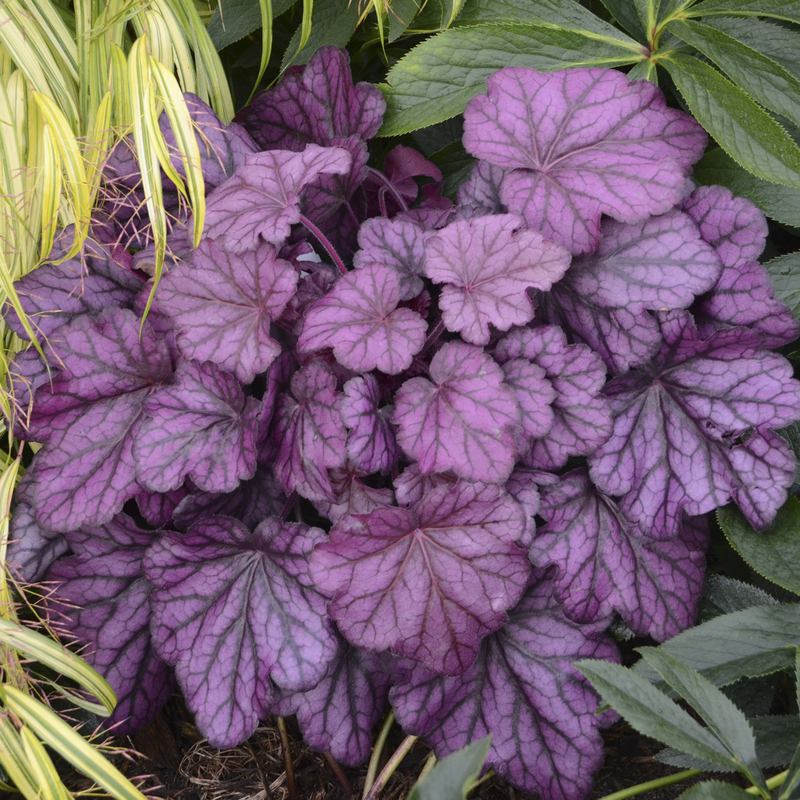 This easily distinguishable Heuchera stands out with its large leaves and bright, uniquely colored foliage. 'Wild Rose' forms a dense habit of large, bright rosy purple leaves with deep charcoal gray veining. 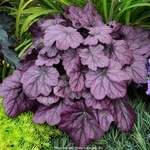 The prominent dark veining really causes the foliage color pop, making it a great choice for shade. This is the perfect companion plant to the dark-leafed 'Black Pearl'. Upright, dark burgundy rose flower scapes have matching dark buds that open to rosy pink flowers. The New PRIMO™ Collection differs from the DOLCE® Heuchera collection in that they are large and faster growing in the landscape. PP#29923. MATURE HEIGHT: Foliage 8-10". In bloom 18-22". 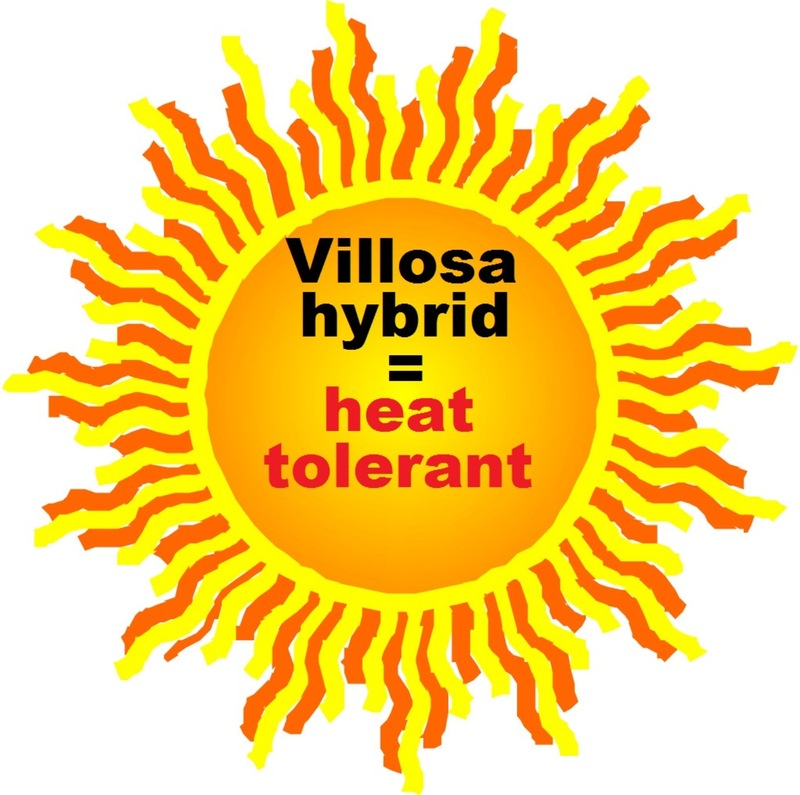 SUN EXPOSURE: Mostly sunny to full shade.